Google's Chrome web browser has finally launched for the Android platform. The long-awaited arrival comes in public Beta for smartphones and tablets currently using Android 4.0 Ice Cream Sandwich. That means very few Android users are going to be able to access the popular web browser at this stage. The Android browser teams-up with your desktop version to bring the tabs already open on your computer, directly to your smartphone, if you're signed-in to a Chrome account. The feature will be of great benefit to users when they have to step away from their main screen, while in the middle of reading an article. Your favourite and previously visited sites will also sync to the mobile iteration, while the fast-search functionality is also on-board. In terms of looks and appearance, Chrome for Android Beta has re-imagined the way tabs are presented to ensure they fit comfortably on the screen, while gestures will allow you to flip through them "like a pack of cards," Google says. Cool. There's also a new feature called Link Preview, which allows you to easily select the correct link on a smaller mobile device by automatically zooming-in to the links on the page. Google hopes this will end the all-to-common occurrence of users accidentally hitting the wrong link while browsing the web using a smartphone. 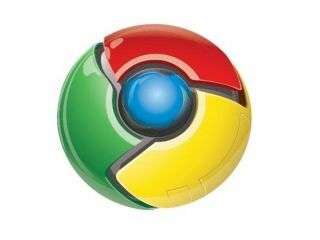 We're excited to finally see Chrome land on Android and, while it's sure to become the default browser on all Google-based devices before too long we'd love to see it available to more than the tiny percentage of users currently graced with ICS. Here's Google's video preview below.